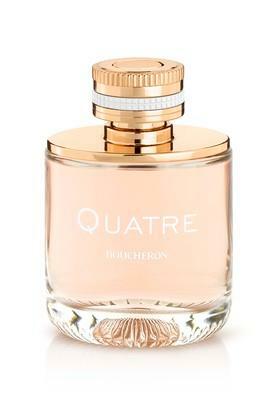 Enhance your senses to the invigorating aroma with this womens quatre eau de parfum from the house of Boucheron. The key notes of this perfume are bitter orange, red currant, wild strawberry, sambac jasmine, rose absolutes, musk, golden woods, cedarwood, cashmeran. A perfect way to complement your edgy style, this eau de parfum is a must-have. A fabulous choice for fashion-forward women who prefer to stay in the limelight.